While power drills can make quick work of large fastening jobs, a screwdriver is still needed when you require the finesse of a hand tool. Klein’s new Switch DriveTM Handle System allows you to easily alternate between a power tool and hand tool minimizing the number of tools and saving space. 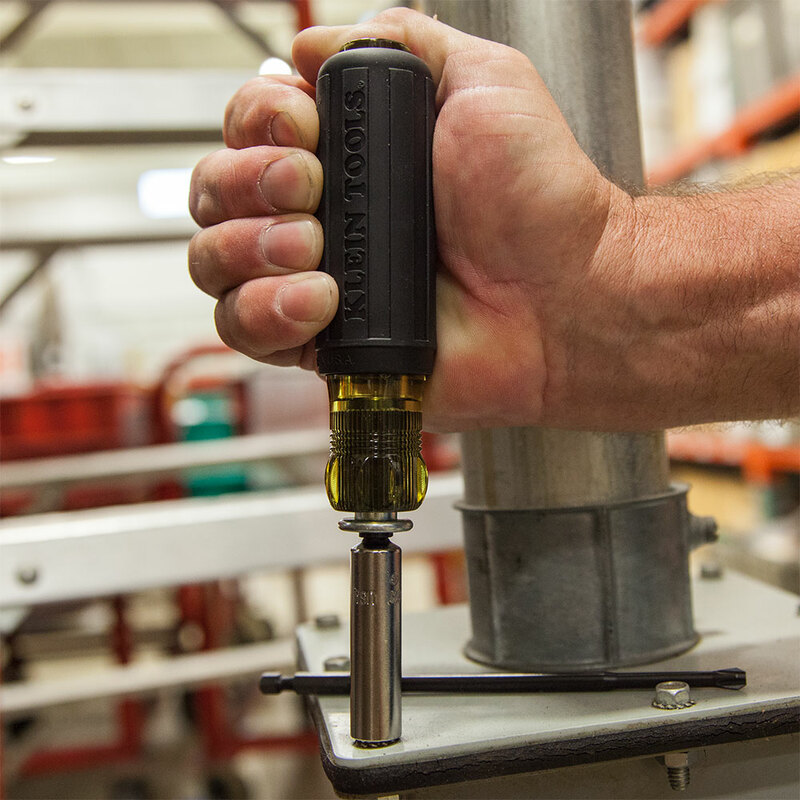 The patented Quick Release mechanism secures any driver with a 1/4" hex shaft to quickly convert an impact rated accessory to the most rugged, long lasting, powerful hand tool in your bag.